Latest edition of the Parish newsletter. Our pets are an important part of our lives, and mean a lot to us. So come along to this informal service which will last about 30 minutes. There will be a couple of songs, a thought for the day and then each and every animal will receive a blessing. Get your pet to bring you along. Coffee morning at St Laurence Church, Measham. Saturday May 11th 10am-12 noon in the church hall. Come and talk to us about volunteering and come and see our fantastic accessible facilities! 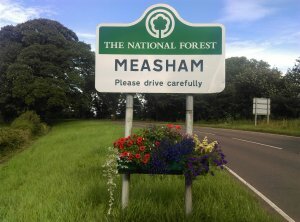 Notice of uncontested Parish Councillor election for wards Measham North and South. 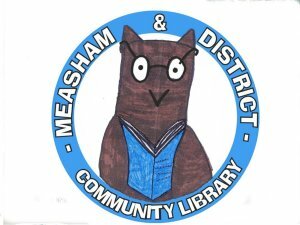 Leicester Road, Measham (see attached plan). 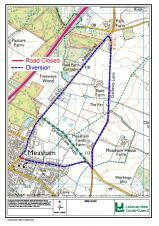 The purpose of the TTRO is to allow Severn Trent Water to facilitate sewer replacement and maintenance. The duration of the restriction is not anticipated to exceed a period of 14 days commencing on the 28th May 2019. Calling all knitters - Keep those knitting needles clicking for the Big Knit! The Big Knit campaign continues through 2019 and Age UK Leicester Shire & Rutland is calling on Leicester, Leicestershire and Rutland to keep knitting or join in for the first time! Ashby Canal Association last year won an award from the Heritage Lottery Fund to discover the archaeological and social history of Ilott Wharf. Ilott Wharf was a coal transport wharf on the Ashby Canal, where coal from Measham Mine was loaded onto narrowboats for the voyage to London. XHTML 1.0 validated. WCAG compliant. Page generated in 0.1102 seconds.